The Leafs Suspend Best Player for Game vs Sabres- Is it a Conspiracy? Brendan Shanahan tells media at today's morning skate Nazem Kadri won't play the next two games. If you missed it earlier, the Leafs scratched Kadri on Monday because he was late for a team practice. Even though Kadri says it was the first time he’s been late for a team related function, Shannahan said today that this wouldn’t happen if it was the first incident. Assuming Kadri wouldn’t out-right lie, you have to wonder what Shanahan is referring to here. Well, you might have to, but I don’t. Kadri is 24 and in the midst of a season from hell and he must know how poorly the Leafs use him. This could lead to him acting or speaking out. Or it could be something totally unrelated, but either way, it’s just another dramatic turn in this never-ending soap opera. 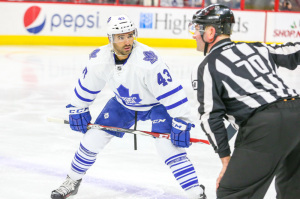 I don’t want to make excuses for him, because I don’t know what’s actually going on behind the scenes, but I am just saying that this season is obviously frustrating for the players, and perhaps more so for Kadri because he must be aware that he’s up for a contract and being held back by a team that uses him so poorly it has people openly wondering if the Leafs are actually trying to keep his contract low. As I pointed out earlier in the season, Kadri – who doesn’t have a reputation as a “#1 Centre” – compares very favorably to a player who does have that reputation: Ryan Johansen. Despite the Leafs scoring woes, Kadri has more even-strength points than Johansen, despite rarely playing with Kessel or JVR. His most common line-mates? Santorelli and Winnik, followed by Lupul and Panik. Not exactly a crew that’s gonna help your stats. Fact: As this trusty chart shows, with one exception, every single player on the Leafs has better possession numbers when Kadri is on the ice with them. Fact: If you look at this chart, you can see how Kadri compares to players widely considered better than he is, but the same age. It shows that Kadri gets less ice time and plays tougher minutes but still puts up comparable numbers to Tavares, Duchene and Johansen. Note also that all three of these players get to play with better wingers and their coaches take more efforts to shelter them from tough competition. Sure, Tavares leads the NHL in points, and I am not saying Kadri is his equal, but if you gave Kadri the same kind of offensive zone starts that JT gets and gave him some better wingers (not to mention some Power Play time) it would be a lot closer than you’d believe if you just went by reputation. Fact: Kadri starts more of his shifts in his own end than Bozak, who plays with the two best wingers and yet Kadri STILL has put up better numbers. Fact: Despite being one of the best even-strength centres in the NHL – if we adjust for usage, ice-time and line-mataes – Kadri has five power-play points. FIVE! He plays 2.2 minutes per game on the PP where as Bozak plays 3.3. 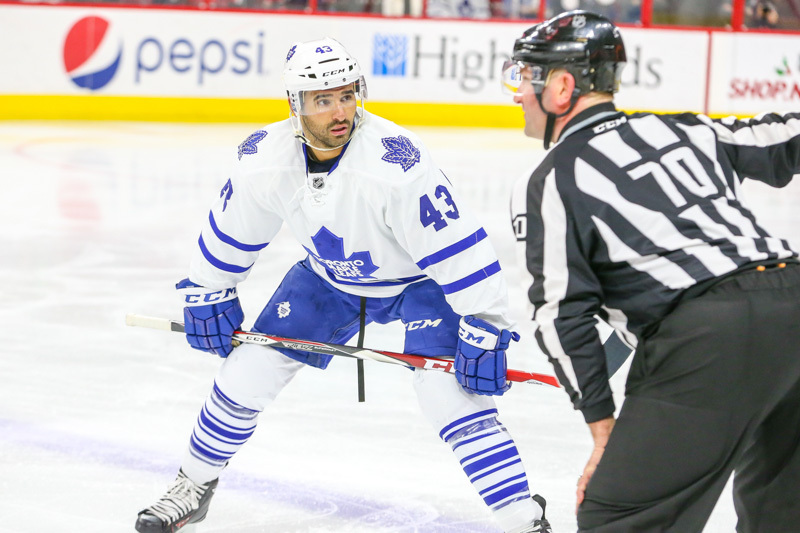 Fact: Even the most cursory look into the advanced stats shows that Nazem Kadri is BY FAR the Leafs best player. So, sure, we don’t know why exactly Kadri has been suspended. Shanahan’s interview mentioned professionalism and maturity, and I don’t have a problem with that. I think it might be good for him. BUT you have to at least consider that maybe, just maybe, Kadri’s lack of “professionalism” has something to do with him being stuck behind one of the worst players in the NHL, during a contract year. I mean, to me, it looks like the Leafs are intentionally keeping him off the PP and off the top line to keep his points down and get him signed to a cheaper contract. What other reason could they have? They aren’t ignorant of stats and they know damn well who their best player is. If I was Kadri, I might be a little angry too. I mean, it’s at least understandable. I don’t mean to excuse him, because he gets paid a lot of money and he’s supposed to act like it. However, would the Leafs be sitting their best player if they were in a Playoff Race? I doubt it. Is it frustrating that they sit their best player longer than most guys get suspened for when they intentionally try to injure other players? Sure. Is it weird that they add extra time to the suspension after the fact? Of course. But this is a no-lose situation for Leafs: They get to demand professionalism. They get to look like the organization is changing it’s ways (fighting “Blue and White Disease” etc.) it deflects media attention away from the Phaneuf/Lupul lawsuit crap and they – as a huge bonus – get to sit their best player against the Sabres and Flames (two unlikely Playoff teams) and secure a better draft position. Could Kadri have an injury? Could this be about making the team worse on purpose? It’s not likely – he CLEARLY did somthing wrong – but it’s not outside the realm of possibility either. Oh, and it will help them in contract negotiations. So, unless it back-fires and Kadri decides he doesn’t want to play here anymore, the Leafs are in a no-lose position with this decision. 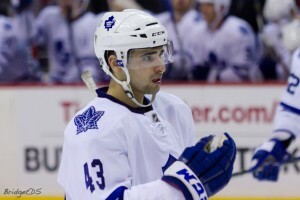 It could very well help Kadri be more of a professional going forward. (Whatever that means, since we don’t really know what he did). No matter what the true reasons are, it really does just feel like another day in Toronto; more BS for a team drowning in it. That being said, has there ever been a more under-appreciated player? A more flagrantly misused player? Maybe, but I can’t think of one. Let’s hope so, since the Leafs haven’t drafted a better player in close to thirty years. He’s their best player. He’s the most important piece on a rebuilding team. And I believe that Shanahan has a good reason for scratching him. To be clear, I don’t really think it’s a conspiracy, only massively convenient.